In what will go down as one of the most memorable features of the season, Jordan Howse held on through the late race chaos to score the victory in the St. Onge Recreation Super Stock division on Saturday night at Sunset Speedway. Ryan Semple won the first heat ahead Dave Doucette, Justin Holmes, Chris Allard, Stefan Semeraro, Dan Archibald, Coltin Everingham, Mike Weeda, and Dennis Cybalski. Johnny Morrison was victorious in the second qualifier ahead of Brandon Passer, Jordan Howse, Gerrit Tiemersma, Herb Walters, Jay Cutting, Frank Davey, and Dustyn Mombourquette. Mike Weeda won the third heat ahead of Semeraro, Allard, Everingham, Semple, Doucette, Cybalski and Holmes. Notably, this race provided the first big thrill on the night, with an impressive four-wide battle midway through. Dustyn Mombourquette was victorious in the fourth qualifier ahead of Howse, Walters, Davey, Tiemersma, Morrison, Passer, and Cutting. 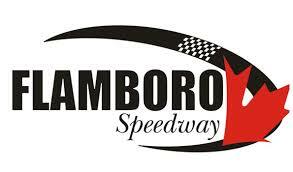 Come feature time, Stefan Semeraro was on pole ahead of Brandon Passer, Herb Walters, Dustyn Mombourquette, Johnny Morrison, Gerritt Tiemersma, Justin Holmes, Ryan Semple, Dave Doucette, Chris Allard, and Jordan Howse. The action began right from the beginning with Semeraro, Passer and Mombourquette three-wide for the lead on Lap 2. Semeraro got the top spot the next lap, but that didn’t last long with Passer passing him a lap later. Behind them, Walters and Mombourquette ran side-by-side for third, as Morrison and Tiemersma ran side-by-side for fifth. Morrison got the spot on Lap 6, bringing Semple through with him. Tiemersma now ran seventh at Lap 6, with Howse alongside Holmes for eighth. Howse got the spot a lap later, followed by passing Tiemersma for seventh on Lap 10. The caution then flew, though, for Archibald going around in turn two. With 21 laps to go, Passer led Semeraro, Mombourquette, Walters, Morrison, Semple, Howse, Tiemersma, Holmes, Weeda, Doucette and Everingham. The first attempt at a restart did not go cleanly, with Tiemersma going around in turns three and four. Howse tried to go three-wide on Semple and Morrison for fifth, but backed out of it as it got tight, backing up the field, resulting in Holmes spinning Tiemersma. The second restart went cleanly, with Passer and Semeraro side-by-side for the lead. Passer would clear Semeraro on Lap 12, but Semeraro tagged his bumper, resulting in the pair back to being side-by-side a lap later. Behind them, Mombourquette and Walters ran side-by-side for third, with Morrison and Semple side-by-side for fifth. Semeraro would grab the advantage initially at the halfway mark ahead of Passer and Mombourquette, but Passer got back alongside once again on Lap 16. The caution then flew a lap later for water laid down through turns three and four by Everingham. With 14 laps to go, Semeraro led Passer, Mombourquette, Morrison, Walters, Howse, Semple, Weeda, Doucette, Allard, Archibald, and Cybalski. Semeraro got a good restart to get the lead ahead of Passer with Morrison up to third as Howse battled Mombourquette for fourth. Mombourquette got the spot on Lap 20, bringing Weeda through with him. Semple was next to make a move on Mombourquette, with the pair making contact. Mombourquette was able to keep it straight, though, as the field kept on rolling. At the front, Passer would take the lead on Lap 21 ahead of Morrison and Howse, with Semeraro back to fourth as he was challenged by Weeda, ahead of Semple, Doucette and Walters. Weeda would get the fourth spot on Lap 24, with the caution flying a lap later due to Holmes having a flat tire, following contact with Archibald. With seven laps to go, Passer led Morrison, Howse, Weeda, Semeraro, Semple, Doucette, Tiemersma, Mombourquette, and Allard. The first attempt at a restart saw another caution as a result of debris on the frontstretch, as Cybalski teared off a piece of his right front fender following contact with Mombourquette. The second attempt went cleanly, with Morrison and Howse side-by-side for the lead. The pair remained side-by-side ahead of the field, with Passer taking them three-wide down the backstretch on the final lap. Going into turn three, contact ensued between them, resulting in Morrison sliding sideways and up the track. Jordan Howse held onto the top spot, taking the victory ahead of Brandon Passer, Stefan Semeraro, Ryan Semple, and Mike Weeda. Dave Doucette finished sixth, followed by Dennis Cybalski, Gerritt Tiemersma, Dan Archibald, and Frank Davey. Chris Allard placed 11th, with Johnny Morrison crossing the finish line in 12th ahead of Dustyn Mombourquette, Jay Cutting, Herb Walters, Justin Holmes, and Coltin Everingham. If you’re wanting to check out all the action yourself, have a look at this great video by Motorsport Alley.